Research in psychology has traditionally focused on college-aged individuals or middle-aged adults. But what unique effects do certain disorders have on the overlooked populations? Find out about social anxiety disorder in youth and in the elderly. Night owl tendencies can be biological or habitual. If they’re the latter you may have a chance at changing them. Learn more about why your body clock and how to fine-tune it to best benefit your life. Having OCD is very stressful, especially for a child or teen. Parents of a child with OCD may also have a difficult time trying to decide what is best for their son or daughter. But what is it like to be a sibling of someone with OCD? Find out here! Being a night owl may have advantages for hitting all-night bars or staying awake to cram for tests, but it may be a detriment for your health and personality. Find out why! 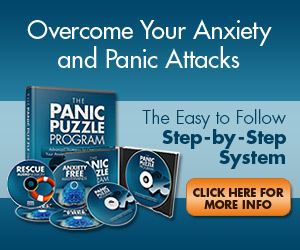 If anxiety continuously eats you alive, you may be suffering from an anxiety disorder. Check out a brief rundown on the most common disorders, along with steps to help alleviate it.